Renault brings to Geneva the all-new Megane Estate. And not in any form, but in its most spectacular version: GT. It’s based on the Megane hatchback, meaning it’s a practical, spacious car, for everyday use. Indeed, it has the longest maximum load length in its class and a modular interior. The rear half continues the front’s dynamic line, already known from the hatchback version. It features a dynamic side windows line, with chromed borders. The roof bars became themselves part of the stylish silhouette, being covered with matte anodized aluminum in most of the trim lines. However, on GT version the roof bars are metallic-dark. The car looks dynamic and stable, thanks to its wide track and low stance. The front C-shaped lights are typical for the new Renault design line. It looks like a Renault Sport product, thanks to its redesigned bumpers. In front, the large air intake is flanked by the two metallic-painted air scoops, while the rear bumper includes a diffuser for an amplified sporty look. The chromed exhaust tailpipe is revealed by the metallic-painted lower lip of the bumper. 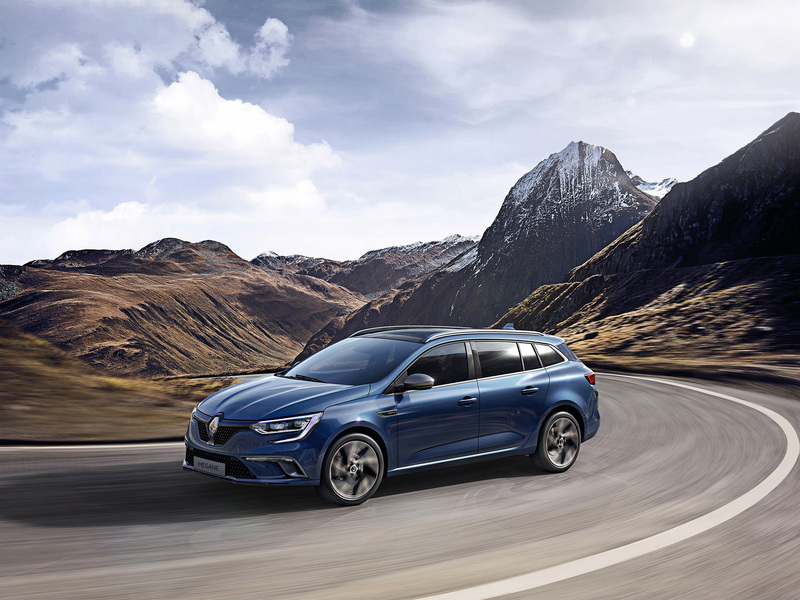 But enough with the looks: Megane Estate GT has more to offer than just a sporty design. 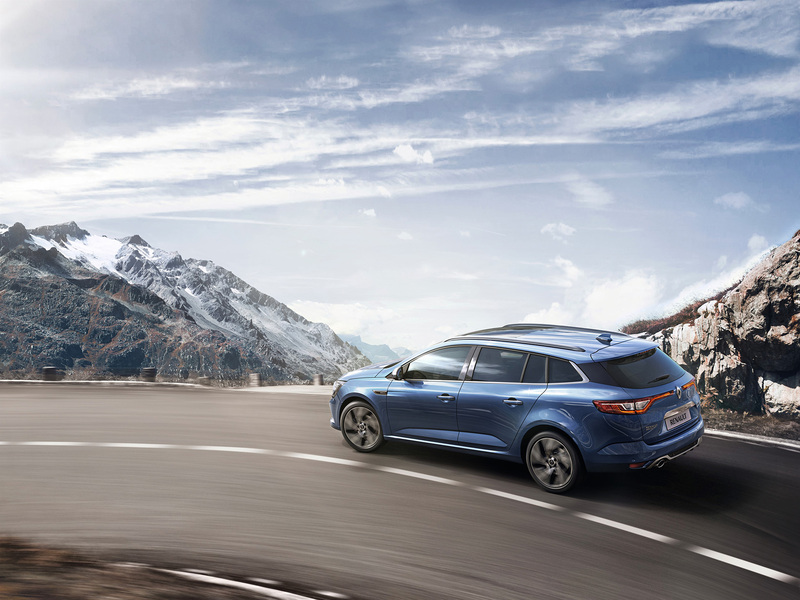 For instance, it’s the first estate in the C-segment to feature a 4Control technology. This technology offers increased agility at low speed, like the one in the much smaller cars, together with a high level of precision at high speed, found only in the sport cars like Megane RS Trophy. The system’s behavior at high and low speeds is explained in the film below. So if you want to see the new estate, make sure you’ll visit the Hall 4 at the Geneva Motor Show!